Training doesn't stop for the cold and nor should you, so when heading outdoors but can't decide between leggings or shorts then it's time for Nike's Pro 3/4 Training Tights. Made from a soft mix of polyester and elastane, Nike's performance Dri-FIT fabric is at the heart of the tights by pulling sweat away to leave you comfortably dry. Although the material may feel thin, because it sits snug against your legs then not only are you warmed up but the heat is retained while mesh panels behind the knees help release the build up of sweat. 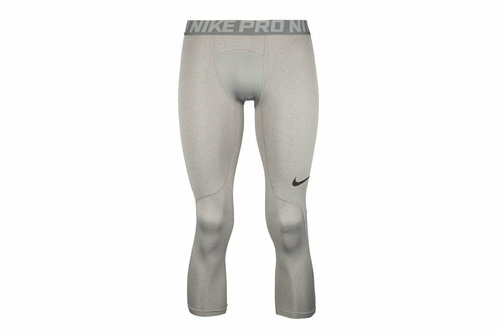 Sporting a plain black look with reflective details to ensure you get seen, the signature Swoosh features on the left thigh.